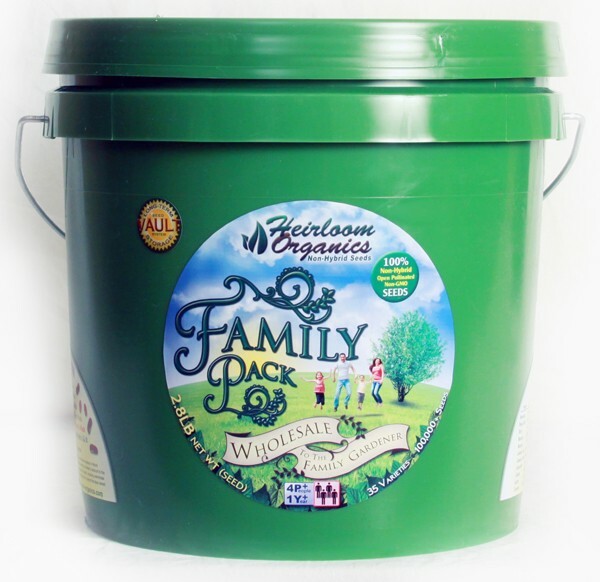 The Family Pack contains 35 varieties of high-nutrient vegetables, grains and legumes for approximately 4+ people for approximately 1+ year with LOTs to store. All varieties are 100% non-hybrid, allowing you to save the seeds for future planting. At 2.8LB weight and 100,000+ seed count, this pack is a must-have for securing your family's nutritional future. Many families buy 2 so that you can store one for years and use the other. Still deciding? See our Pack Comparison chart for an overview. 7 Things You Should Know When Purchasing Seeds". See our Kitchen and Medicinal Herb Packs.